This year, I’ve had the opportunity to take part in an exciting program that operates somewhat under the radar in the Princeton community -- the English Language Program (ELP). The ELP, which works mostly with graduate students, aims to help non-native English speaking Princeton students become more comfortable within the Princeton community. 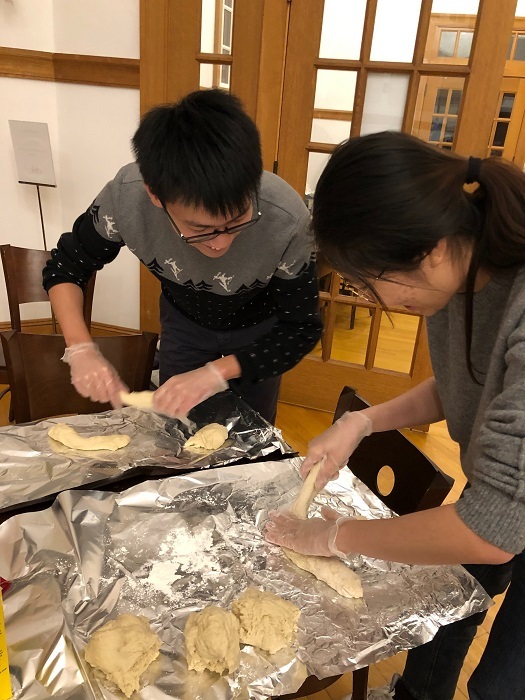 By pairing them with an undergraduate student for a weekly get-together, non-native English speaking Princeton students are able to gain confidence in their English language skills. Those meetings provide an opportunity for casual conversations about student life, holidays, sports, food or whatever seems relevant that week. When I joined the program, I was paired with two STEM graduate students from China, Hui and Hauxi. Hui studies Molecular Biology and Hauxi studies Electrical Engineering. I’ve enjoyed getting to know them over the course of a semester. We’ve explored the various dining halls on campus, gone hiking on the towpath, discussed the major cultural differences between the United States and China and toured my dorm room (which didn’t take long). We’ve had some fun meetings, talking about the “holiday season” in the United States and the various ways in which people at Princeton celebrate different holidays. 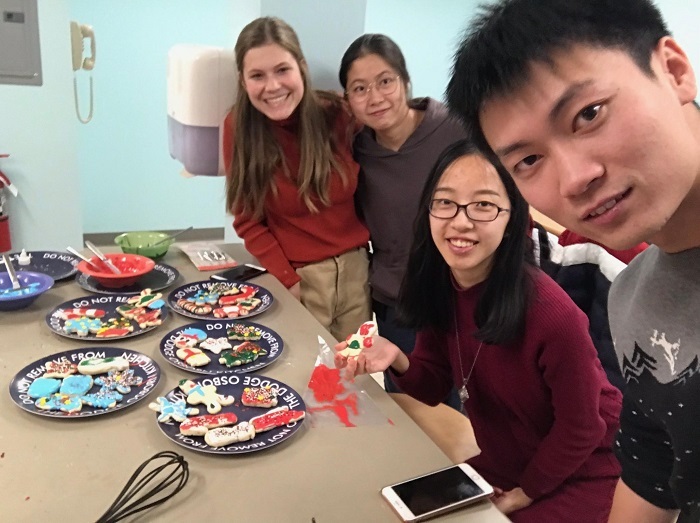 As part of our discussion, we made and decorated delicious Christmas cookies, which we shared with friends. Then, we went to the Center for Jewish Life where we braided Challah bread for a local charity and lit Hanukkah candles. I look forward to my Thursday afternoon meetings with two amazing people who I may not have had the opportunity to meet outside of the ELP, a program that reinforces the powerful diversity of the Princeton community.